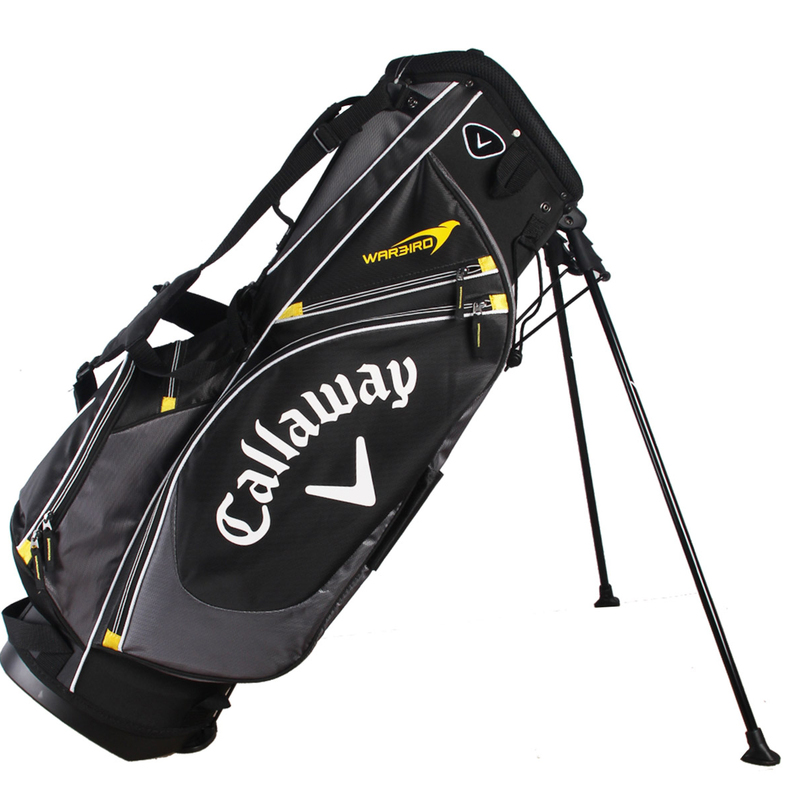 Thanks to its superb design, the golf bag has never been easier to carry. 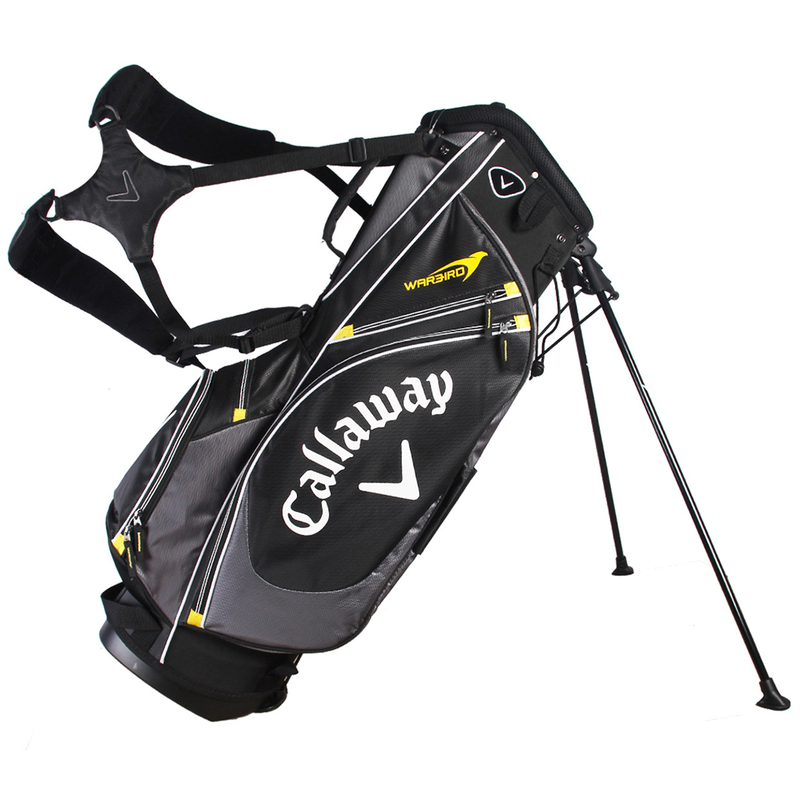 This is thanks to its ergonomic, lightweight construction (only 4.41lbs) combined with a dual balanced carry strap system, this bag is very comfortable when walking the course. 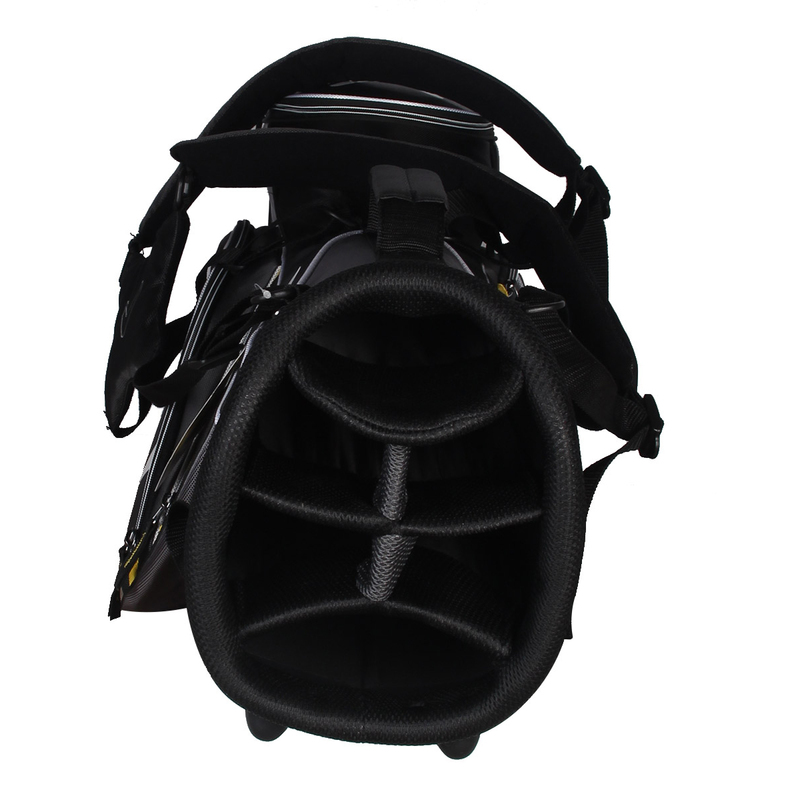 The addition of 6 pockets helps keep all your apparel and accessories organised, with a drinks pocket for more convenience. 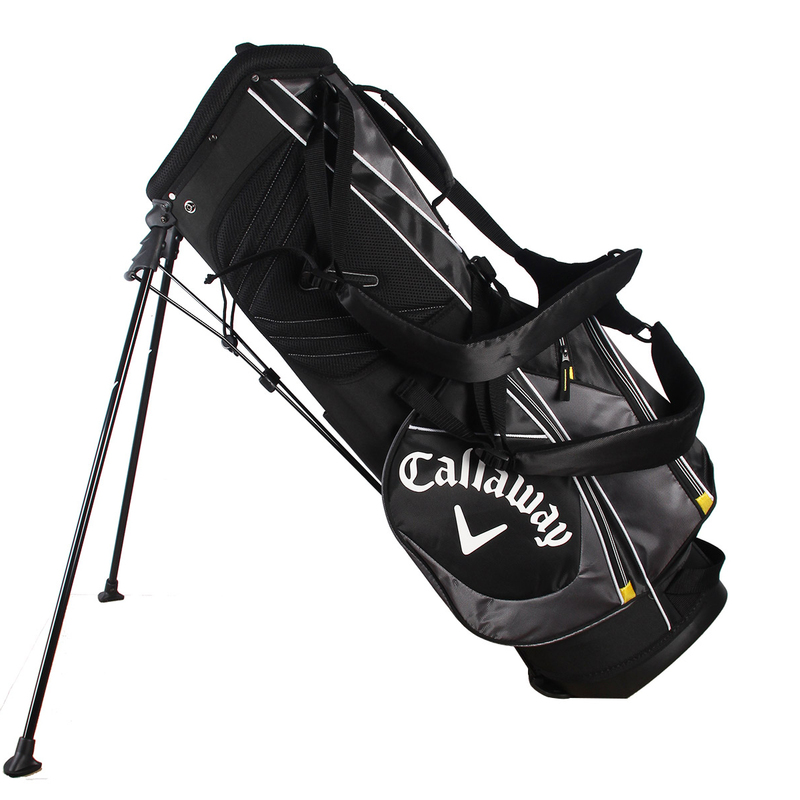 The bag comes complete with high mounted automatic stand system for increased stability, and matching rain hood is included.